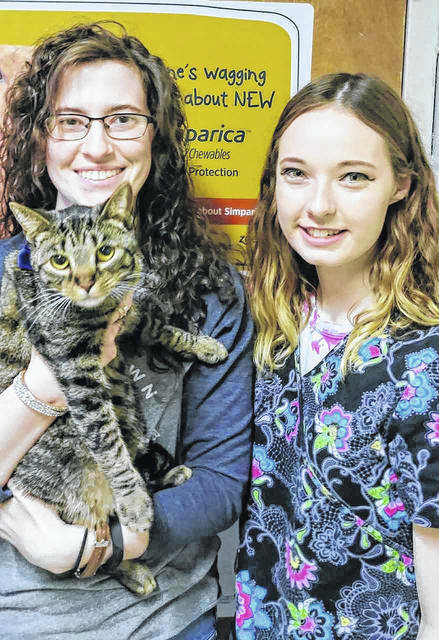 OHIO VALLEY — The cutest pet has been chosen by voters in Ohio Valley Publishing’s annual Cutest Pet Contest. The winning pet is Mozzie the cat, owned by Hannah Hysell of Bidwell, Ohio. Mozzie is a year old and was rescued from an animal shelter. Rules were there was no purchase necessary with one valid entry per contestant. You had to be 13 years of age or older at time of entry to be eligible for this contest. Photos were submitted until March 10 on the websites of the Gallipolis Daily Tribune (www.mydailytribune.com), Point Pleasant Register (www.mydailyregister.com) and The Daily Sentinel (www.mydailysentinel.com), only. Then, on March 11, voting began and ran March 25, allowing the public to choose who was the cutest pet. Bragging rights and a $50 grand prize was up for grabs. Sponsoring this contest was Riverbend Animal Clinic, located at 1520 State Route 160 in Gallipolis, Ohio.